Hey, everybody! You may have heard about a little thing called Refashion Month happening over at House of Estrela. I was ever so flattered when Magda of HoE asked me to join in! 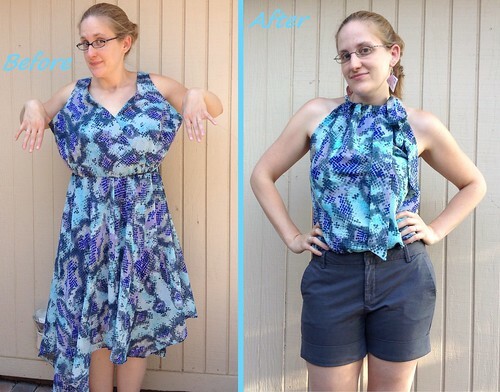 Today's my feature, so pop on over to see how I turned this large dress into a flowy summer top. And yes, those shorts are another pair of wide-leg trousers remade, using the same process as these. 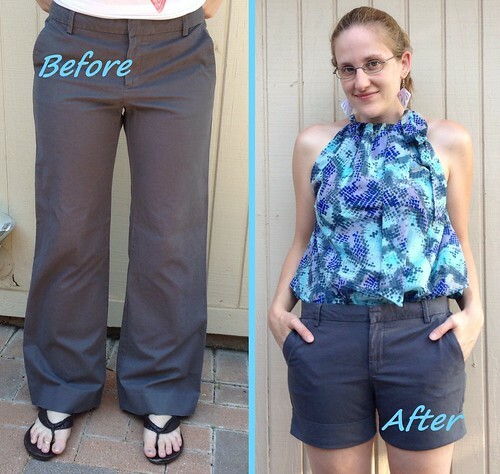 I'm really happy that I ran across your blog today because I have similar projects to your top and bottom refashions planned so this post is really helpful!